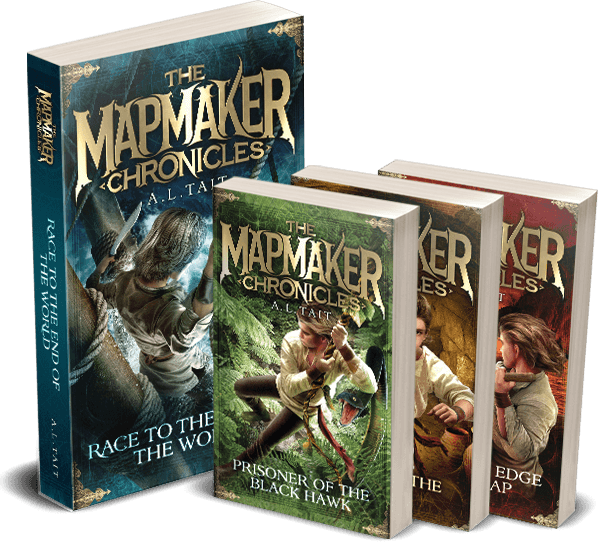 The Mapmaker Chronicles #4: Beyond The Edge Of The Map is out now! Thank you to Marie McLean for the wonderful picture you see here. 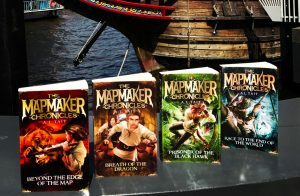 Marie went down to Perth’s Elizabeth Quay to photograph all four books in front of the replica Duyfken and the results are stunning. 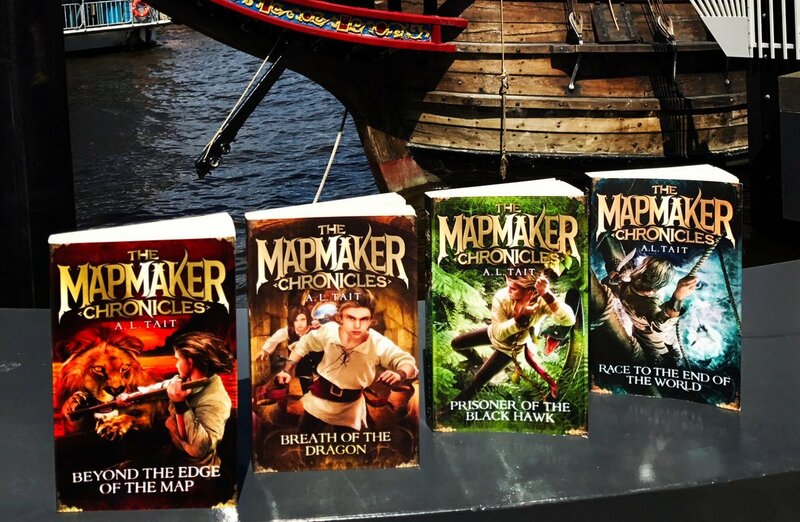 If you’d like the opportunity to win the full series, check out this post that I wrote for Nicole at Planning With Kids. 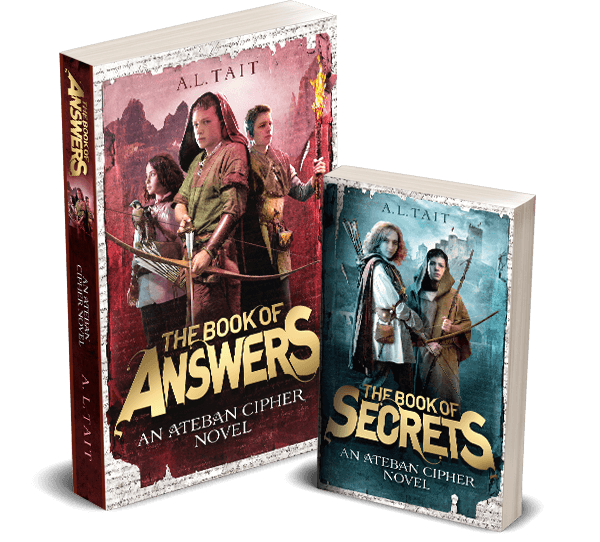 It’s all about reluctant heroes – why I love them, why I think kids love them, and five books that feature them. In the meantime, I hope you love Beyond The Edge Of The Map. Don’t forget to share your #shelfies with me – I still have a small stash of what are now ‘Limited Edition Collector’s Item’ bookmarks to sign and send out to anyone who tags me on their shelfie (Instagram, Twitter or Facebook). Don’t have your copy yet? Buy it here, or at your local bookshop!